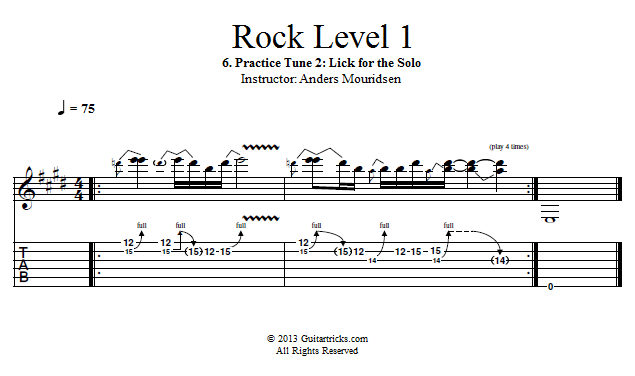 After the second chorus this song goes to a guitar solo, and in this lesson I'll show you the lick that we're going to use for the first half of it. Even though the harmony changes for this section, it still stays in an E territory, so we can use our E minor pentatonic for the solo. Until you learn some more theory you'll have to use your ears to find the right pattern, if the main key of the song doesn't work.